Tracker Software Products :: PDF Creation Software, Free PDF Editor, FREE OCR, Voted Best PDF Reader ! Advanced (optional) OCR Plugin and V8 released and now available ! Announcing our most anticipated product release. Extending the power of our Award winning Viewer into an all new industrial strength PDF Editor. Our simple to use solution for creating PDF files. 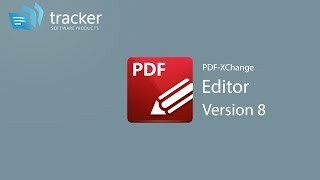 A flexible & power wizard driven application for batch creating, manipulating, and modifying PDF files. Our best selling solution for the creation of PDF files. from virtually any Windows application. products We offer a full range of products to match any user's requirements. tools Integrate our award-winning technologies into your own custom applications. options We are here to help! Find the answers you need or contact our support staff. resources Apply to become a reseller of our products. Access to Reseller guides and resources. Presenting Version 8 coming soon! That pretty much speaks for itself. ..
We are proud to number amongst our Clients some of the worlds largest companies - but rest assured all of our clients both large and small are equally important to us.